For those still “nervous” about making the shift to becoming ‘barefoot and booted’, and those who are already barefoot but require protection only on limited occasions, the ELB is the perfect solution. The ELB is also ideal for rehabilitation and therapeutic purposes. The ELB is made of 1680 count denier industrial grade nylon – the same material used on Cavallo’s Sport hoof boots. 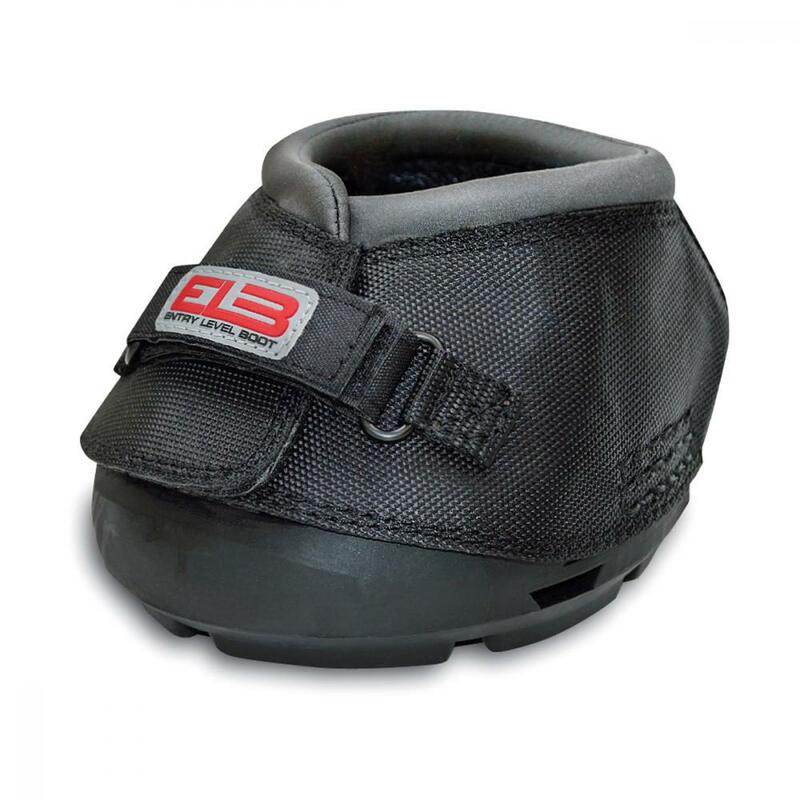 The replaceable Velcro closure extends the working life of the boot in the event of Velcro fatigue and is easy to fasten. The ELB is offered on both of Cavallo’s soles – the Regular sole, (length and width equal) and the Slim sole (width is ¼” or 5mm narrower than length). Both soles incorporate the unique, built in side drainage slots to drain mud, water and sand easily and will not clog up. Sold in singles. There are currently no questions for Cavallo Entry Level Boot - be the first to ask one!